Harbour View – On March 4th, 2016, His Excellency the Governor of Sint Maarten, drs. E.B. 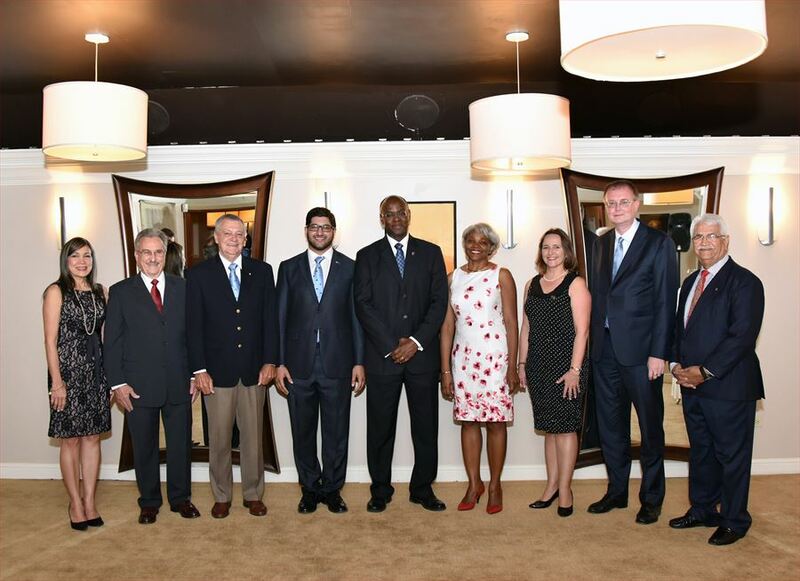 Holiday, hosted his Annual Consular Corps Reception in honor of the Consuls accredited to work on Sint Maarten. The theme of the reception and the Governor’s welcome address was: Partnerships through Friendships and Dialogue. In his address Governor Holiday emphasized that strong relations anchored in friendship and dialogue is the bedrock of effective partnerships and cooperation. He therefore noted that it is our joint obligation to continue to move forward as agents for partnerships between our countries, communicating and stimulating friendship and dialogue for mutually beneficial cooperation. And in embracing our obligation he noted that our countries need each other in our interdependent world and invited the consuls and all present to continue to work towards the strengthening of partnership by fostering stronger friendships and dialogue in the areas of education, health care, tourism, trade, banking and the combating of crime for the safety, security, health, development and prosperity of our peoples. Present were the General and/or Honorary Consuls of Canada, France, Germany, India, Sweden, Venezuela, United Kingdom and the United States. Also present were Ministers Silveria Jacobs, Minister E. Kirindogo, Minister E. Lee, MP G. Pantophlet and several representatives from business and other social institutions.